This tutorial was originally posted on WPBeginner. Installing a child theme is no different than installing any other WordPress theme. Inside your WordPress admin area, head over to Appearance » Themes page and click on the Add New button. 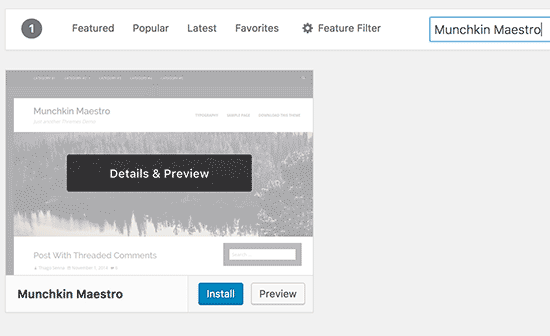 There are two methods to install your WordPress theme. Method 1: If your child theme is available as a free theme on WordPress.org theme directory, then you can look for it by typing its name in the search box. From the search results, take your mouse to the theme you were looking for and then click on the Install button. WordPress will now download and install your child theme. It will also look for required parent theme. If the parent theme is also available on WordPress.org theme directory, then it will automatically install it for you. Method 2: If your child theme came as a zip file, then you need to click on the ‘Upload Theme’ button. This will show you theme upload option. Click on choose file to select the theme zip file from your computer and then click on ‘Install Now’ button. 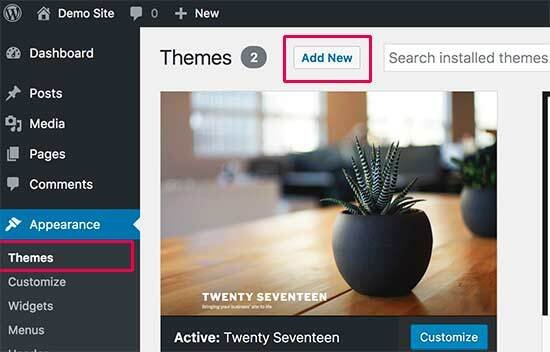 WordPress will automatically try to install the parent theme if it is available on WordPress.org theme directory. If it fails to install the parent theme, then you will not be able to activate the child theme. It will show your child theme as broken on the themes page. Here is how you will install your parent theme. First go to your parent theme’s website and download the theme zip file. Now head over to Appearance » Themes page and click on the Add New button. Click on the ‘Upload Theme’ button. This will show you theme upload option. Click on the choose file button to select the theme zip file from your computer and then click on the ‘Install Now’ button. After installing both parent and child themes, you can go ahead and activate the child theme. Note: Keep in mind that you don’t need to activate the parent theme in order to use the child theme.